I’ve just opened my first exhibition! “The Tunnel” is a photography project focussed on Leake Street, a tunnel beneath the tracks near Waterloo Station that is also the largest authorised graffiti site in London. A selection of images are being exhibited at The Stage Door pub near Waterloo Station in March and April 2013 (map). You can see the full set of images and purchase prints on the Tunnel portfolio page. Here are a couple of shots taken yesterday just after we’d finished hanging the pictures. Big thanks to K and Dave for helping out! Artist Laurie Plant has just gone live with a video I shot for him of the creation and opening of his latest large-scale mural, created in situ at Wycliffe College. The video is a mixture of live video and stop motion, overlaid with some revealing interview audio. Laurie’s site has more about the mural, as does my previous coverage of the mural opening. For those interested, the stop motion was created with the excellent LRTimelapse and the video was edited in Final Cut Pro X. All footage and production by yours truly. I’ve been working with artist Laurie Plant recently, documenting his work on a large scale mural for a school in the Cotswolds. This has culminated in an exhibition to mark the official unveiling, and I have a few documentary photographs included there. The exhibition is in the main building at Wycliffe College, Stonehouse, adjacent to the mural itself. As this is a school, viewing is by appointment. 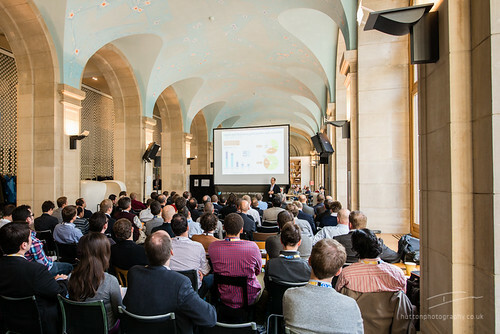 At the start of November I spent a couple of days in Bern, Switzerland, covering a conference. 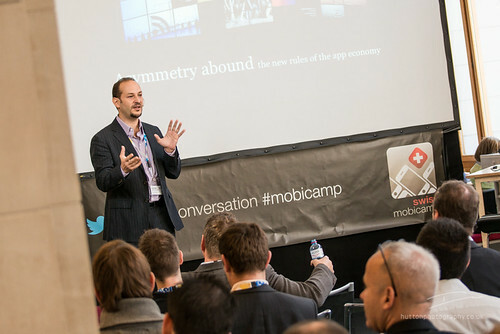 The conference in question was Mobicamp, a gathering of the founders of 100 Swiss tech start-ups. 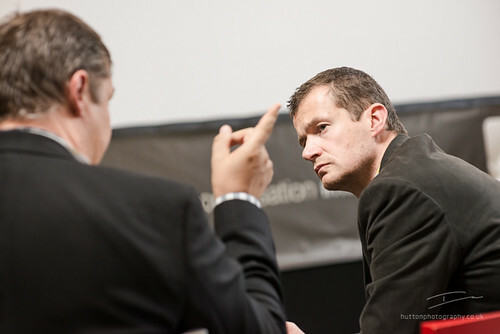 There were seminars on topics such as building and marketing their business, 1-1 coaching sessions and the opportunity to meet potential investors. 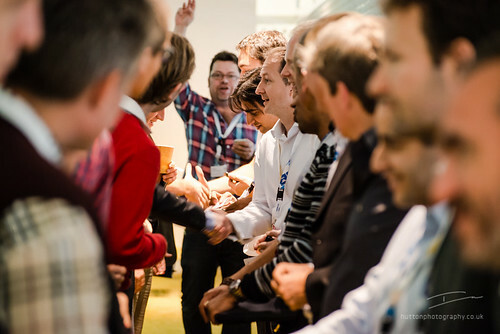 The atmosphere was great, very positive, and from an outsider’s perspective the highlight was the Dragon’s Den session, where six early stage start-ups pitched their ideas to a panel of investors. My brief was to cover the day for the organisers, capturing the speakers in action and giving a sense of the connections being made. The Mural – trailer from Hutton Photography on Vimeo. A few weeks ago I was commissioned to shoot some portraits of the artist Laurie Plant at his home studio. Laurie paints and sculpts, splitting his time between his own work, commissions and teaching. The brief was to capture Laurie with some of his newer work, giving the pieces a sense of scale and communicating something of his character. I wanted to go beyond the standard “artist smiling in front of painting” and capture a range of expressions that could be used in different contexts and that would evoke some curiosity and interest on the part of the viewer. I was also keen to capture at least some shots in his studio, an incredible place absolutely crammed full of work and where almost every surface has been used to develop ideas. Artists, like most people, are very comfortable talking about their work but way out of their comfort zone once you point a camera at them. The main challenge for me was to relax Laurie and hence get the best out of him. Beyond that I knew I’d need to be subtle with the lighting in order to let the paintings speak for themselves. I used a pretty simple one light set-up for most shots, keeping the lighting low key for the wider shots and adding just a little drama (and a nod to Rembrandt) for some of the head shots. I kept up conversation with Laurie the whole time, keeping his mind occupied and the shoot moving quickly so that he never got the chance to become self-concious. He’s a very funny guy with a great Prince Charles impression – we had a lot of fun! Looking forward to Ian’s visit, I wondered how a photo-portrait shoot could make such a difference to the way one appears as a performer, musician, writer, or in my case, a visual artist? How would we avoid my self-consciousness and how could Ian portray my art to best effect? Ian immediately began planning ideas about how he wanted to portray me with the work, arranging canvases in my studio to organise the space, considering lighting effects and focal points and directing my position, viewpoint, stance, balance, posture and – most fun – asking questions to distract me and get a much more natural response. Responding to such requests was really engaging, capturing much truer expressions, moreover Ian’s quick witted directing and retorts had us in peels of laughter! It wasn’t just a case of which paintings I thought worked best, rather Ian attempted to show my working studio and how he perceived me amidst the work. I think that the photographs are particularly successful when the expressions Ian has captured in the portraits say something about the attitude or feel of a particular painting, reinforcing or contrasting ideas, so there is a tacit dialogue between the ‘sitter’ and their work that engages the viewer. In this sense, some shots, for example (3139) (3274) (3247) have very surprising combinations of expression, focus, and composition that I would never dream would work and yet are very striking portraits to present to the world. Other shots, where I’m looking away from the camera and at the paintings: (3072) (2932) emphasise the work yet still give a dialogue. (3114) has an inquiring, critical expression that captures the way I look and think when painting portraits, yet places more emphasis on me than on my work. I thoroughly recommend the experience as much as the outcome of a day like this to anyone who is uncertain about the astounding difference a professional photographer can make. It’s been a little quiet here of late, but only because I’ve been working on a major update to the site. That update is now live (you’re looking at it!). Things have changed a bit at the design level – I have a sparkly new logo and the overall look of the site is cleaner and a little more minimal. The pictures have changed on the front page and there’s a nice new gallery bar at the bottom. On the content side I’ve refreshed the portrait and music galleries and added a selection of product photography - I’ll be expanding this in coming weeks. The biggest change is the addition of secure client areas. Now when I complete a shoot for you you’ll be able to proof and download your photographs right from my site, secured behind your own personal log-in. This is something I’ve wanted to offer for a while and I’m really pleased to have it complete. I hope you like the updates, please drop me a line and let me know what you think. Whenever you read about seeing the Northern Lights you find your expectations being managed: it’s a natural phenomena that doesn’t occur every day; it might be cloudy; it might be too faint to see; it never looks as spectacular as the photos because they are long exposures. We’d tried to maximise our chances by coming to the least cloudy place in Sweden (Abisko) at what is statistically the best time of year (Feb/March) and in a year of peak solar activity (the lights are linked to energy released by solar flares, which seem to run to a ~11 year cycle). 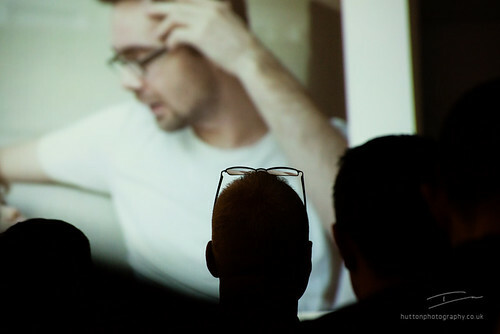 Still, I wasn’t too confident – I’d read a recent post by Paul Reiffer regarding his struggles to get a decent view. As it turned out I needn’t have worried – we totally lucked out. The magic micro-climate around Abisko gave us clear skies on our first evening, while cloud banks boiled along the horizon on all sides. We finished dinner just after 8pm, pulled on all our warmest clothes (and I do mean all – we were well into the Arctic circle up there) and stepped outside to be greeted by the lights right overhead. We couldn’t believe it – it’s not supposed to be that easy! We walked a little way down the hill to a spot we’d reconnoitered earlier in the day that seemed sheltered and had a good view of the sky. For the next 90 minutes we were treated to an incredible show as the lights ebbed and flowed from horizon to horizon; often green, but with purples and pinks bursting out too. Sometimes amorphous clouds, at others incredibly distinct ribbons with ripples of light shivering along their length. Light would pulse right over our heads, fingers of light reaching down to us like some kind of kaleidoscope. Some times the light seemed static, at other times it danced across the sky like a flag snapping in strong winds. A few times meteors flashed past behind the Aurora. Quite incredible. Everything was shot in manual at ISO1600 on the D700, with the aperture as wide as it would go (f2.8 on my 20mm lens). Pushing the ISO up above 1600 brought in too much noise and I started to lose detail that I really wanted to retain. By and large I focussed at the hyperfocal distance to keep as much in focus as possible – and that’s quite a lot when you’re shooting at 20mm, even wide open. I found that exposures of 10-20 seconds gave incredibly bright colours, but at the expense of smudging the lights into amorphous clouds. I settled on 2.5-5 sec exposures to capture a good amount of light whilst giving reasonable definition to the shapes etched across the sky – this depends a lot on how bright the lights are, of course. If you do happen to get activity right above you I’d recommend a few shots looking straight up; you get a very abstract effect that you don’t see in most Aurora pictures. A few weeks ago I took a trip up to Cambridge to spend the day at the offices of Elektron Technology, nestled next to the world-famous Cavendish Laboratory on the University of Cambridge’s West campus. The brief was to capture some of the high tech components that Elektron produces, and to do so in a stylish manner that definitely wasn’t “catalog”. The look was to be metallic black and white, the pictures for use across all media as a part of a brand refresh. I was working with Jim, Design Director from Velocity Partners and the man with the vision of the new brand. Neither of us knew quite what to expect in terms of subjects, as all Elektron had told us was that the high tech components couldn’t be taken off site and hence we had to come to them. Unpacking the portable studio into a corner office we were faced with quite an array: box upon box of delicate and carefully packed electronics, literally a few hundred components to pick and choose from! We got straight down to work, warming up on one of the harder subjects: an anonymous metal box containing power control circuitry for a police car. This started to look more promising when we got the Elektron guys to remove the end plates. Suitably backlit and with shallow depth of field, the canyons of electronic components hiding inside provided just the kind of abstract tech look that we were after. Picking from the many cases we worked through a gamut of components in quick succession: buttons and switches that looked like little robots, connectors in all shapes and sizes, the blade from a diamond cutter, the focusing plate from an electron microscope and many others besides. We finally packed up after eight hours of shooting and 60 different set-ups. Having Jim on hand to act as artistic director and provide direct feedback was great and something I always encourage – it left no doubt that I was hitting the brief and delivering the kind of shots he was after. The new web site has just gone live, and it’s fascinating to see what the designers at Velocity Partners have done with the stills, cropping and cutting them beautifully to mix with the hexagon motif that is central to the new brand. You can see the results in the banners on many pages of the new Elektron Technology site. Nice work from Dom Whooley, the web designer who pulled it all together. What are you waiting for, go check out www.davegander.com!